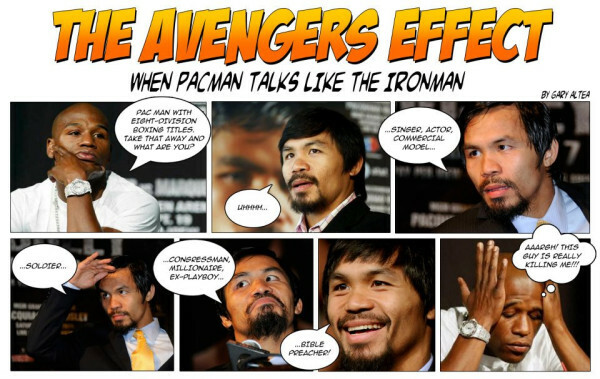 Saw this on twitter and thought that I should share this to all - Pacquiao and Mayweather having a man-to-man conversation after watching Avengers (not together, I hope). Clearly, Manny is the more impressive of the two, even boxing titles aside. I'd say the fact that Manny Pacquiao has his hands full on a lot of things destroy the "jack of all trades, master of nothing" expression. He's obviously an "all in one guy".